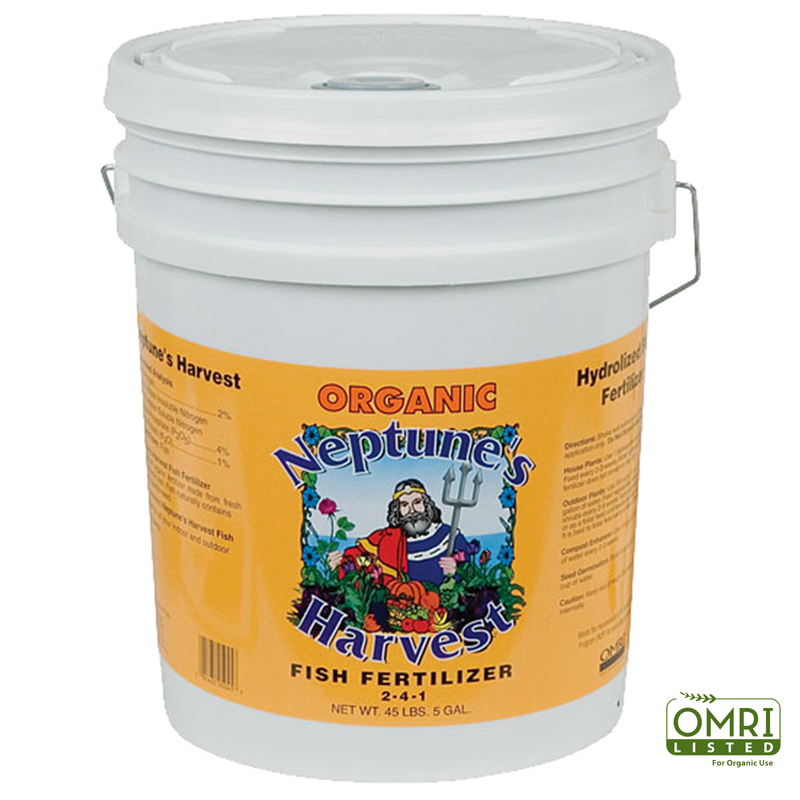 Neptune’s Harvest Fish Hydrolysate is the perfect fertilizer for organic gardening. Our unique cold process protects the organic matter naturally found in fish, providing you with the best fertilizer available! We believe in making the highest quality fish hydrolysate, which is why our liquid fish uses a variety of dock-fresh North Atlantic fish. Unlike fish emulsions, Neptune’s Harvest doesn’t remove the proteins or oils during processing and has no unpleasant odor. 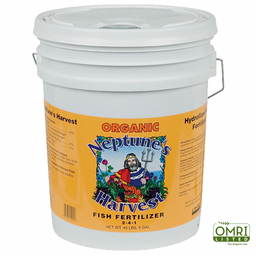 Neptune's Harvest Fish Fertilizer is OMRI Listed for organic use. We recommend Neptune's Harvest Fish Fertilizer for all your outdoor and indoor growing needs!